Are you trying to find the perfect house for sale in Donabate? Let Perfect Property simplify the search. If you're new to the area or looking to make the move, find out everything you need to know about Donabate. Donabate is a small coastal town in Fingal that’s 20km north-northeast of Dublin’s city centre. It is situated on a peninsula near the Rogerstown Estuary, which is a sprawling 5-acre park. It is about a 25-minute commute by car via the R126 Regional Road, M1, and M50 Motorways. Irish Rail and numerous Dublin Bus routes primarily service Donabate. The town remains small and charming, with a population of near 7,500. What Popular Types Are Popular in Donabate? Donabate is a growing, thriving, and very friendly seaside community. New construction, schools, and services are entering the area every year. Donabate is special because it has retained its old-world country charm while simultaneously embracing new technology. Residences are treated to spectacular views of a picturesque sea, vast countryside, lush greenery, blossoming gardens, leafy terraces, beautifully landscaped grounds, and a quaint village centre. Donabate homes are rich in historical architecture; new builds and refurbished homes alike have retained the cosy vibe of the town. Home styles include cottage, country, modern, contemporary, Tudor, Victorian, and Mid-Century. Donabate homes are embellished with modern amenities and spacious living areas. Donabate is ideal for families of all ages. The vibrant town centre offers numerous facilities and amenities, local shopping, convenience stores, a post office, community centre, and medical establishments. Donabate has a vibrant restaurant, café, and pub scene, many featuring fresh fish and seafood dining options. The town is very walkable and offers numerous trails for cycling, picnicking, and leisure. Donabate also has two fabulous sandy beaches, which provide endless entertainment for exercise and leisure alike. Historic landmarks include Newbridge House and Demesne. The town is also resplendent in sporting activities, boasting a wide range of clubs, 5 golf courses, water sports galore, and bouldering. 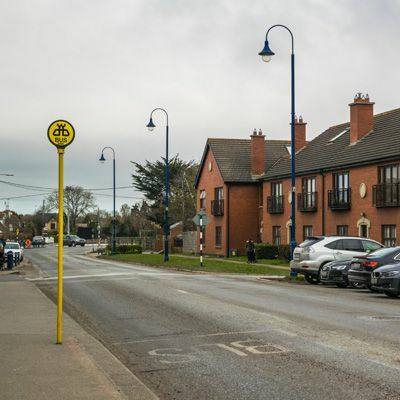 Donabate is a bustling town with a growing number of primary and secondary schools. Academics are a high priority, and the town’s most notable awards comprise of Changemaker School Award, Discovery Primary Science Award, and Enterprise Awards. You can filter Donabate properties by price, bedroom size, square footage and more. There is also the option to filter by a property must-have, such as a garage if you are seeking a house to buy in Donabate where you can securely park your car, or even a shed or an attic. You can also check apartments for sale in Donabate if you are looking for something a little smaller. Don't let the perfect apartment, townhouse or house for sale in Donabate get away. Looking to rent in Donabate? Search houses for rent in Donabate and filter by home types, price and size.